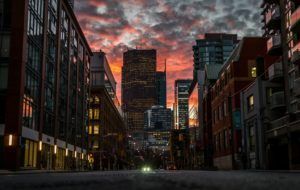 A week after it was reported that Ontario froze leasing efforts for its monopoly cannabis retail chain, Canada’s largest province appears to be on the verge of handing adult-use marijuana sales entirely to the private sector. The news, first reported by Cannabis Compliance Vice President Deepak Anand and then in The Globe and Mail, would reverse the previous provincial government’s commitment to opening 40 government-owned retail storefronts in the first year of legalization, which is set to begin Oct. 17. While the number of retailers won’t be known until the regulations are officially announced by Premier Doug Ford’s government – which is expected early next week – analysts say a fully private cannabis sector in Ontario could support roughly 1,000 outlets. The province is expected to maintain control over wholesale, distribution and online sales, according to the Globe report. Entrepreneurs are preparing to plunk down millions of dollars to build out a network of stores, pending a thorough review of the upcoming regulations. “The breadth of that market has been on display for years with the hundreds of dispensaries in Toronto,” he said. “We certainly plan to have a significant presence in Ontario, subject to the legislation allowing us to do so. Anand told Marijuana Business Daily that a private-sector model is more effective in curtailing black-market sales. Important questions remain, however, including allowable product markup. Abi Roach – proprietor of Hotbox Holdings, a Toronto company that develops branded cannabis and hemp products – expects Ontario to have hundreds of private opportunities. “I’ve waited 18 years to retail cannabis,” she said. “I’ve played by the rules and kept my record clean. U.S.-based MedMen Enterprises already has its eye on the Canadian market through a joint venture with Ontario’s Cronos Group, MedMen Canada.